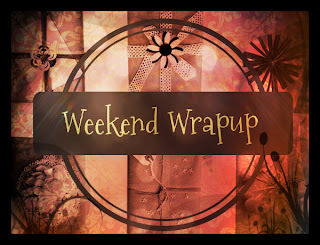 Nook had great deals on these two books this week and both have been on my wishlist forever! A great group of reads!! 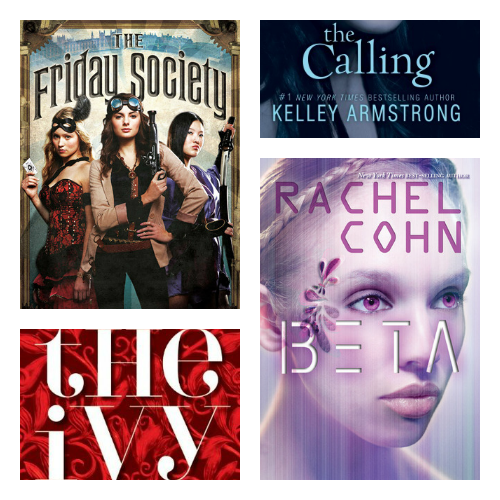 I want to read them all at once :) I'm almost done with The Friday Society and I'm here to tell you it's great! 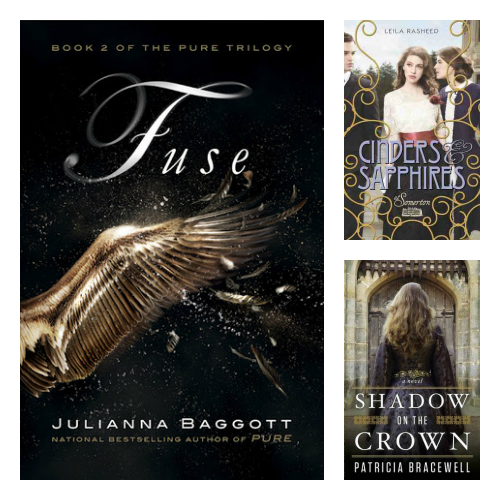 I am so excited about these ARC's especially Fuse (Pure #2)! I just loved Pure (review here) and can't wait to dig in! Wow! That's not very many books for two weeks worth of reading, but to be fair to myself, A Dance With Dragons at just under 1,000 pages was quite a read! 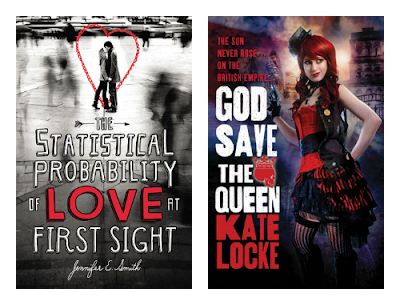 I just love this series, though, because once I get into it, I have a hard time putting it down! 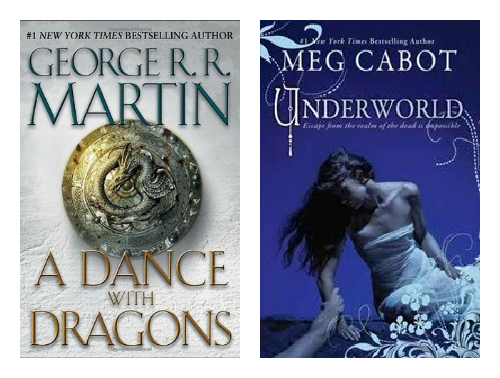 Underworld by Meg Cabot was a great follow up to Abandon. Review to come soon! 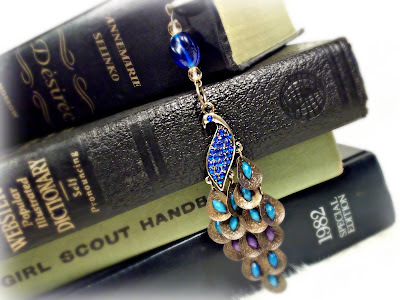 Also, you have one week left to enter to win a beautiful peacock bookmark handcrafted by yours truly!! Thanks to Laurie at Created by Laurie for hosting the giveaway and she also interviewed me for the feature! Here's the link to enter and a pic so you can check out the goods for yourself! God Save The Queen was awesome. I really enjoyed it. Friday Society looks interesting. Come visit me as well. Just finished The Friday Society and it was great! Can't wait to dig in to the rest. I'm on my way to visit you! Great haul! I want to get Fuse for reviewing so bad! I was so excited to get the e-mail about Fuse. I just loved Pure so much! Looking forward to The Friday Society, as love the sound of the synopsis! And Kelley Armstrong is always good. Enjoy! The Fridaay Society was great, you should check it out. And you're right, Armstrong can always be counted on!